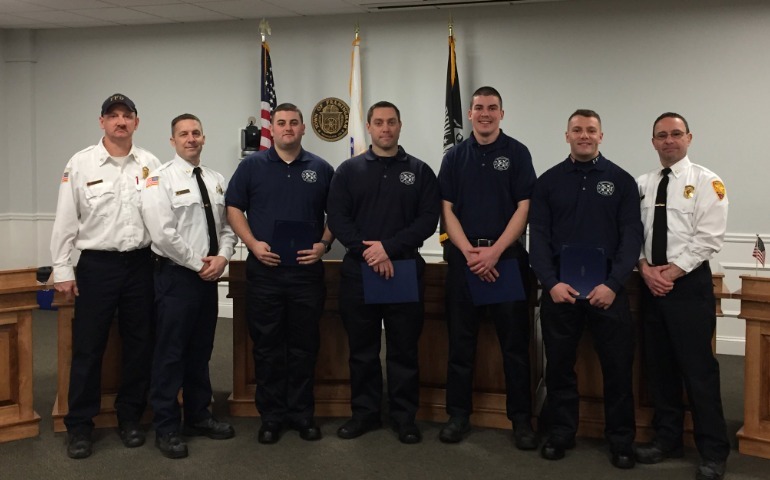 FRAMINGHAM – The City Clerk’s gave the oath of office to four new Framingham firefighters today, January 22. Joining the department are Matthew Bradley, Thomas Leone, Alan Mancini and Timothy McDonald. All four are Framingham residents. Three of the four are Framingham High graduates – Bradley, Leone and McDonald, said Assistant Fire Chief Michael Dutcher. 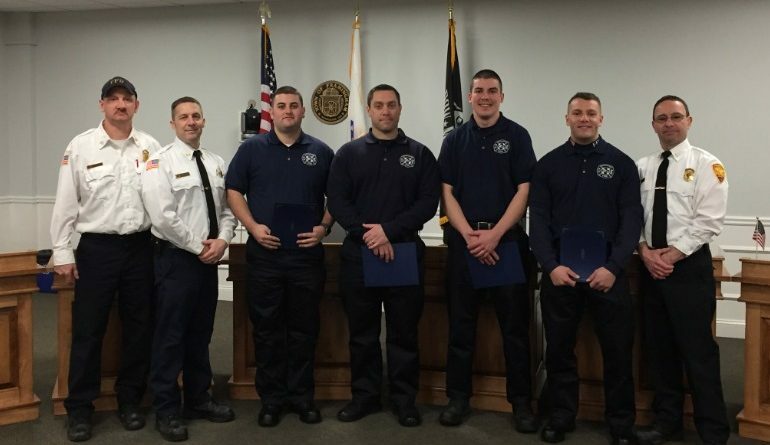 With these four new hires, Framingham Fire Department now has zero openings. Framingham Fire uses Civil Service to hire new firefighters. Preference is given to Veterans and to Framingham residents, when hiring. The civil service next exam is a year and a half away. “We assign them to a more seasoned officer to learn the ropes,” said Dutcher. Fire Chief Joseph Hicks and Assistant Fire Chief Dutcher attended the ceremony at the Blumer room in the Memorial Building.